Leaman's Green Applebarn is a 6 generation apple orchard that has been around since 1889. We are conveniently located in Freeland, between Midland and Saginaw. 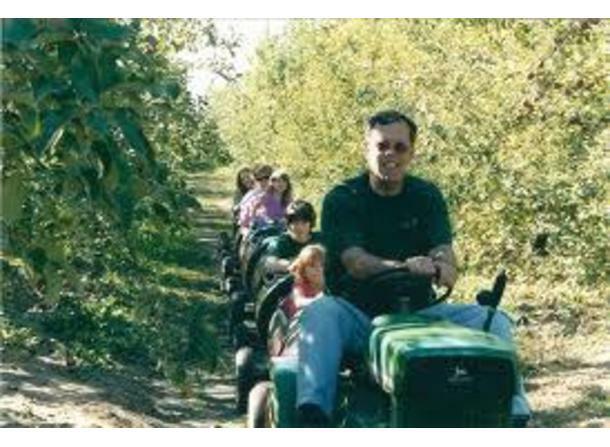 Leaman's Green Applebarn is a place where you can have a fun and relaxing farm experience. Visit us in the small town of Freeland where you can enjoy our Country store and gift shop, have a bite from our bakery, or take a walk around our gardens. Enjoy a cool, refreshing cider slush. Visit us in the fall for our play area, hayrides, apples, cider, pumpkins, mazes, and much more. Please come in and tell us you are a first time visitor. We will be more than happy to show you around. Seasonal family-owned Apple Orchard, with cider, apples, bakery, cider slush, blackberries, pumpkins, wreaths, and charming country gifts. 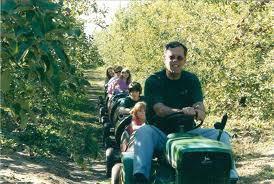 Beautiful gardens, children's play area, wagon rides, Apple Barrel Express, u-pick apples and picnic tables. Kids tours for up to 25 for a fee. Restrooms available.